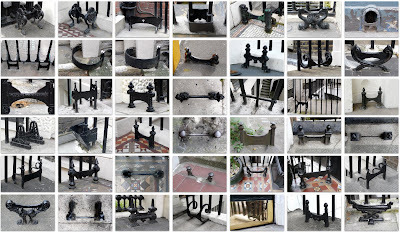 A short while ago I was invited to join the 'Boot Scrapers of London' group on Flickr. 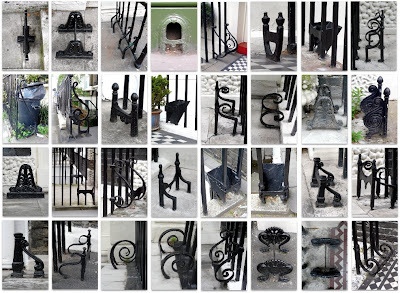 I had noticed lots of them in and around Central London but thought they were all too similar and I had enough things to photograph as it was! But I joined the group pool anyway, and now I have gone boot scraper mad having discovered that there are so many different types out there. All of these have been taken on three occasions in the first 2 weeks of August 2008 in Camden, Covent Garden, Fitzrovia, Bloomsbury and Canonbury. To see any of the individual photos at a larger size please go to my Boot scrapers set at Flickr.